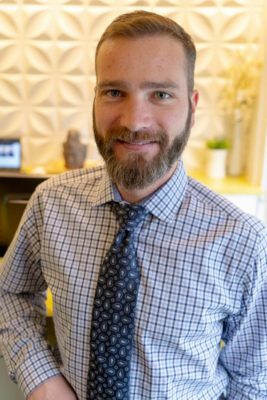 Dr. Dan Muller has been fortunate to have worked at many amazing clinics over the years and has served a residency in our Chiropractic Clinic before. He is now happy to have joined the Chiropractic Team at Northern Hills Chiropractic. Dr. Dan typically works primarily as a locum Doctor, caring for patients while their Chiropractors are taking much-needed breaks. As such, he has a wide range of experience through a large variety of clinic focuses; including family practice, high-performance sport, and clinical neurology. Dan is a retired freestyle skier, but can still be found of the hills. Summers he enjoys camping, biking, hiking, and climbing. or Request Your Appointment with Dr. Dan Muller Today!